This paper analyses the ups and downs in the real estate market in Beijing, the capital city of China. As China opens its financial market to foreign investors in addition to imports and exports of goods and services, the health in China's real estate market will also have a significant impact on its trading partners. This is especially true as more and more Chinese investors are considering US market for investment as well as permanent settlement. However, there has not been a lot of study in this area due to lack of reliable data and the strict government regulations in China's real estate market. This paper will outline some risks and potentials in Beijing’s Real Estate Market and shed some light on whether China has had or will have a real estate bubble. The research findings tend to suggest these bubbles can hardly collapse in a short run due to strongly protective policies and government financial support. In 2010, during Warren Buffett's business visit to China, He commented that it is not only a gamble in the Beijing (China’s capital) real estate market, but a huge gamble; many people are gambling big in this market. 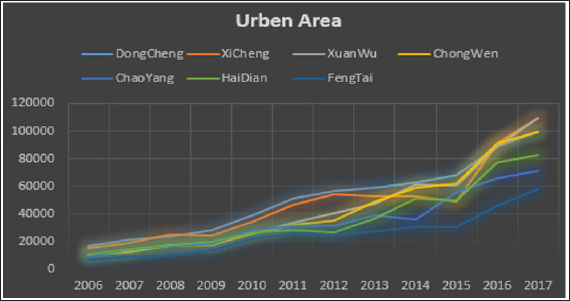 Seven years later, the Beijing real estate market is still showing a very strong growth. In Chinese, the word, "Crisis", is combined of two- word roots "Risk” and "Opportunity". Hence, this paper will analyze the risks and opportunities in Beijing's real estate market and how government policies have influenced the real estate prices. As China embraces the world, the Chinese economy is also growing at an amazing speed. The purchasing power of Chinese nationals has also upset several real estate markets in the US, especial in a couple of big cities, such as Los Angeles and San Francisco. Meanwhile, the real estate market in China has boomed and its growth has surprised most economists. Given the relatively much lower median household income in Beijing, no one would have imagined that the median housing price in Beijing and Shanghai would have surpassed that in several major US metropolitan cities by several folds. Although Beijing’s real estate market is more robust than the national average, Beijing's real estate market, in general, still fluctuates in accordance with the prices in the national market, which has been sensitive to the corresponding changes in national policies. Hence, it is still a largely controlled or managed market rather than a completely free market driven purely by demand and supply. This is demonstrated by the following facts. 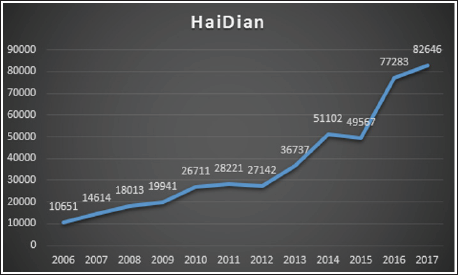 First, in general, the real estate market in Beijing grows steadily from 2008 to 2013. 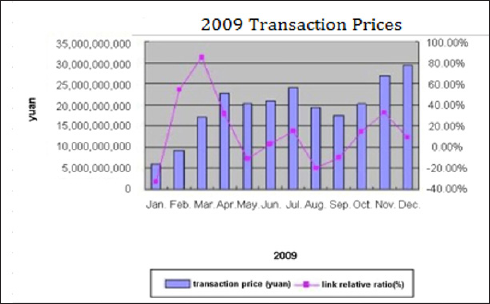 However, there was a significant drop in prices from the beginning of 2008 to August that year. The lowest price was almost 30% lower than the highest price in 2007. This drop coincided with a series of government interventions starting at the beginning of 2008 and the global financial crisis. The Chinese government implemented several policies in 2008 in January, February, March, April, September, and October to try to slow down the appreciation in the housing market (Sina Real Estate, 2008). During the past decades, government published several policies wanted to ease the crazy increase in housing prices, but none of it successfully controlled the market. From 2006 to 2017, the overall real estate price raised by 750%, and this trend seems to be unstoppable in the coming future. There are several factors that have sustained this strong growth. One is because of a couple of developers (e.g. China Wanke and Greentown China) had very strong financial strength to put forth new developments with higher and higher prices. Second is due to ill targeted policies. Although the implementation of national policies solved housing problems for many households including people with low income, the major beneficiaries of these policies were the rich, who possessed multiple properties. This results in increasing gaps between the rich and the poor and making the rich able to drive the prices sky-high. Third is as a result of the high inflation rate. 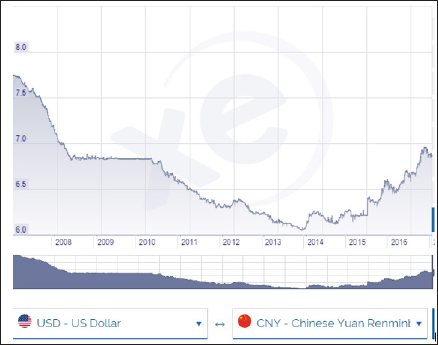 As the US currency depreciated due to the rising level of US debt after its financial crisis during the Great Recession, the Chinese government decided to increase its money supply to offset the increase in US currencies in circulation. This led to the immediate depreciation of RMB in the international exchange rate market. This sudden increase in money supply also led to an internal "depreciation/devalue” within the country due to higher inflation. To protect their wealth, Chinese people started to invest in real estate properties to shield them away from potential loss from inflation. Hence, the demand for housing increased and became more inelastic. 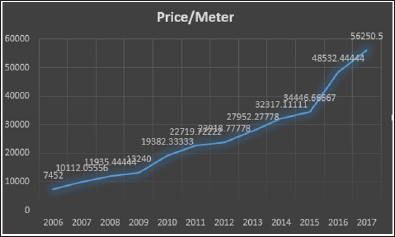 During the past twelve years, the overall price per square meter in Beijing has risen from ¥7452 in 2006 to ¥56250.5 in 2017, which is over 7.5 folds of increase. In other words, if one bought one square meter in Beijing in 2006, he or she can make ¥ 2 per day in the past ten years: Sources. SouFun. (2014). The price of second hand real estate price. If we separate the city into Urban areas [1-5] then the urban price increased by 780% from ¥11491 to ¥90274, and rural price increased by 708% from ¥4881 to ¥34598 during the past twelve years. Thus, if one was wise enough to buy an apartment in Beijing in 2006, the average return was 57% per year. To understand the fundamentals that have been sustaining the unprecedented growth in Beijing's real estate market, this paper will examine more closely several major representative districts in Beijing. Xicheng District (Representing the West and the Center) The main reasons of the price hike in this district is due to its prime downtown location, its convenient transportation system, and its hosting of many government offices. 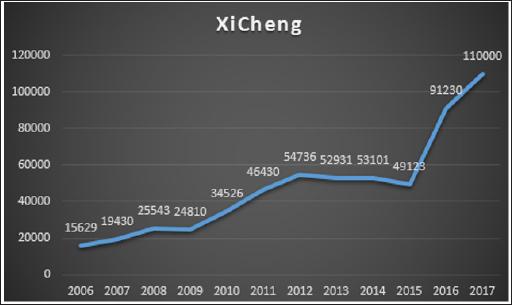 The median house price in Xicheng District is the highest among all Beijing city districts because this district is very close to the downtown highways. Beijing has several highways surrounding the city. The first and second surrounding/loop highways were built right after the communist party took power, back in the 1950s. Areas served by these two surrounding highways are closest to the city center. As the city expands, the government built the third, fourth, fifth, and now the sixth surrounding highways. The higher the number, the further away from the city center, and the cheaper are the housing prices. Haidian District (Representing the North and the High Tech) This district is famous for its world-famous universities, such as Qing Hua and Bei Da. Hence, this district has a huge demand of housing as parents all want to send their children to the elementary, middle, and high schools in this district to increase their chance to get into a famous university. This district is also the IT Center as a result of its high density of colleague graduates and professors. This district is on the north side of the city on the fourth surrounding highway. This district assembles most of the best schools in Beijing. 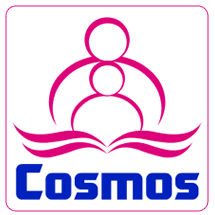 This extremely imparity education resources lead to the extremely high housing price. Chaoyang District (Representing the East and the Financial Center) This district is attractive to buyers due to its prestige location as the financial center and its kin to fashion. This district locates to the east in between the third and fourth surrounding highway. Most of the top 500 companies set their Chinese headquarters in this area, so this district gathers over 50% of the financial, accounting, and computer science experts. Accordingly, the real estate is driven up by this high-income population. The above data shows that there are several factors that have sustained the rising prices. First, the price in the West is the highest among all areas within the fifth surrounding highway. This is because of its superb education system. Parents, with a high expectation for their children's education, have created a very high demand for real properties in this area (e.g. properties near Beijing No.4 High School, ranked No. 1 in Beijing, are extremely pricy). In addition, many high ranked governmental officials also take residence in this area as this where the Zhongnanhai (equivalent to the White House in the US) locates. These are the two factors directly contribute to the extremely high prices in this west area. Second, the North area ranks the second in prices. This is because it hosts the first batch of high-tech enterprises such as Siemens, Mercedes-Benz, and several other large enterprises. To a certain extent this drives up the prices in its surrounding area as well. Houses in the East ranked the third in prices. This is because most of these houses provide larger living areas than those in the above two districts. Most of the houses are defined as "Jian Cheng”. Unlike the properties in the West, which are high quality but also much smaller due to the limited and very pricy land, the properties in the east are generally more spacious and are built on a larger scale overall, which offers more comfort and growth. Houses in the south are the cheapest as it is closer to rural area so it is more affected by urbanization as rural people moving into the city and making this area less attractive to home owners. Check if this is right. Unlike those metropolitans in the US, such as NYC and Chicago, which have a net layout, Beijing adopted a central based layout. The downtown area is surrounded by 6 circled highways (Loop Roads) with increasing radius. Consequently, the estate price is going down from center to the 6th loop. As you can see in the dot map below, the price per meter dot spread down from black to red and to other lighter color, implying that in general, prices are getting cheaper as it gets further away from the center. 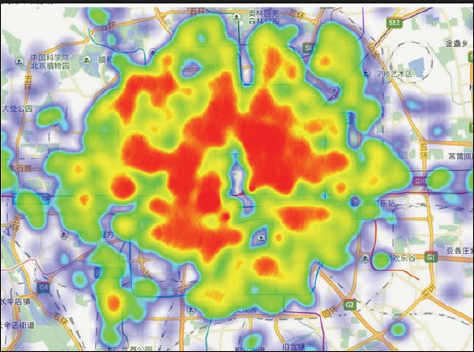 The following heat map shows that there is an obvious trend that estate price increase as it being closer to the center, which is also the down town area in Beiing. In addition, northern part of the city has a higher estate price than the southern part. 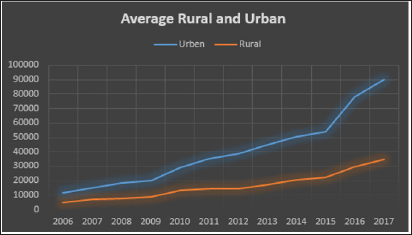 Despite the above factors that fueled the consistent increase in property prices, the overall rural and urban trend also indicates there are two pivotal points, year 2009 and year 2015, where the prices went to new hikes and the rate of increase also went up significantly. This section will examine whether this general trend was due to policy changes or changes in the general political environment. In sum, the government has been using taxes, mortgage rates, and down payment rates - as well as the supply of new properties - to regulate the real estate market in Beijing. 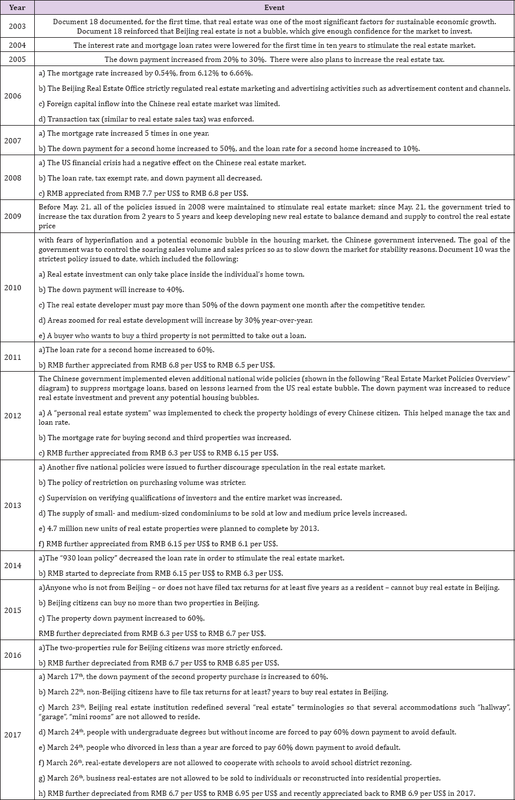 However, the policies have been inconsistent, policies before 2005 encouraged people to invest into real estate, policies between 2005 to 2007 discouraged people to buy properties to prevent housing prices to hike, policies in 2008 and 2009 went back to encourage real estate investment in fear of falling property prices due to the US housing bubble, and policies from 2010 onwards have all been targeted to control the soaring real estate prices. Looking back, the history shows that the domestic demand and supply in the real estate market clearly dominates foreign investments into Beijing's Real Estate Market. This is demonstrated by the fact that the property prices in Beijing's Real Estate Market have not been affected by the changes in the foreign exchange rate at all. Indeed, as shown in the house price trend diagrams and the exchange rate diagram from 2008 to 2017, the real estate prices changes almost in dependently to the changes in the exchange rate. As a result, Chinese government’s concern of a drop in real estate prices was not justified. Hence, the stimulation policies in 2008 and 2009 were very damaging. Given the strong and inelastic domestic demand as explained in the previous two sessions, the impact of these ill-defined stimulation policies put the real estate prices on an almost irreversible upward trend. The thereafter restrictive policies have not been successful to reverse the price soring trend. Future Real-Estate Markets: Xiong An as an Example Recently, Chinese government just released the policy saying Xiong An, a small village about 120 miles away from Beijing, will be the subcapital of Beijing. Since Xiong An is not Beijing, meaning that most of the real-estate policies listed above will not affect the Xiong An market, thousands of Beijing real-estate investors have flooded to Xiong An. The average housing price went up 500% within a day of the announcement. This case shows that the purchasing power of Beijing investors is still very strong and the supply and demand is still imbalanced. On the other hand, government policies do put some breaks on the housing prices although this break may far from effective (Table 1) and (Figure 1-11). Figure 1: SouFun (2014) The price of second-hand real estate price. Figure 2: SouFun (2014) The price of secondhand real estate price. Figure 3: SouFun (2014) The price of second-hand real estate price. Figure 4: SouFun (2014) The price of second hand real estate price. Figure 5: SouFun (2014) The price of second-hand real estate price. Figure 6: SouFun (2014) The price of second-hand real estate price. Figure 7: SouFun (2014) The price of second-hand real estate price. Figure 8: Beijing Real Estate Government Official Website. Figure 9: Beijing Real Estate Government Official Website. Note: The following is the exchange rate between Chinese RMB and US dollar in the past ten year. Overall speaking, the Beijing real-estate market has great potential and less risk since the whole market is not only driven by demand and supply but also derived by government policies. Based on the above analysis, the government has been trying to prevent any housing bubbles, but has also been very concerned or even over reacted to any potential risks that could have threatened the steady growth in the real estate market. Our study shows that the real estate market in Beijing has been growing steadily mainly due to the high domestic demand. Chinese government has implemented policies to stabilize the market to meet people's expectations instead of dragging down the prices. Hence, when the prices went down, new policies were released to revive the market. 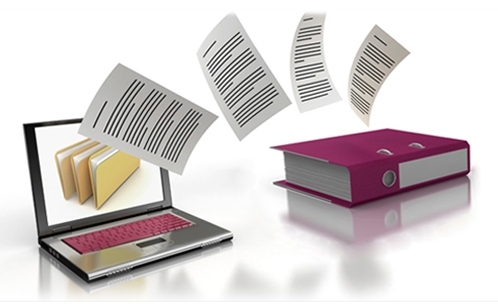 In several occasions, more than one new policy was released within a month to stimulate the market. Yet, to prevent any potential housing bubbles to burst, the Chinese government has issues a series policies to pursue its continuous effort to stop or control the soaring real estate prices. On the other hand, there has been an emigration trend among the rich who controlled a dominant percentage of real estates in Beijing as well as in China as a whole. Therefore, the future of the Beijing real estate market would largely depend on how all these forces play out. This is a major reason why it is one of the biggest gambles for investors. From the demand and supply perspective, Beijing is a metropolitan with over 30 million residents. As long as the Chinese government cannot figure out a way to dilute the popularity, Beijing real estate price will keep growing steadily. The major risk is that if the Chinese government keeps increasing the real estate tax to a point that the increase in property value and/or the rental revenue can no longer cover the taxes, the real estate investment will be swamped. The study shows that although there is a reaction time lag, the market, in general, is sensitive to policy changes. If the Chinese government needs a steady growth in properties values to secure prosperity, then the house prices will still increase, but may be under control to avoid any housing bubbles. If one day, the Chinese government needs the prices to drop, strong government policies can lock most of the investors in the cage. Also, from the investors' perspective, more and more people are considering investing in smaller size apartments instead of houses or larger apartments. This is because the high prices have decreased the market liquidity and the high price per meter makes larger units unaffordable. The extremely high prices have reduced the liquidity of the real-estate market, which may be a further risk. 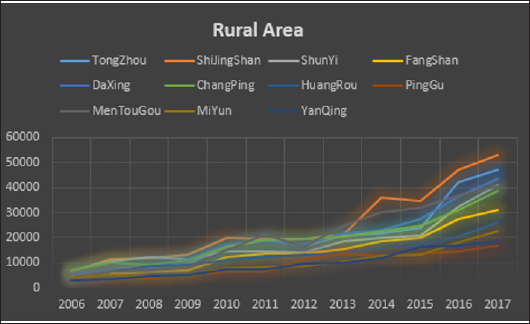 Si Yuan Gu Wen (2013) The analysis of real estate price in China. Searching date: November 15th, 2013, Source: Dao Ge Ba Ba. Zi Xun Zhong Xin (2008) The policy of real estate. Bai Du (2009) Guo Si Tiao. Bai Du (2008) Guo Shi Yi Tiao. Sou Fun (2014) The price of secondhand real estate price.